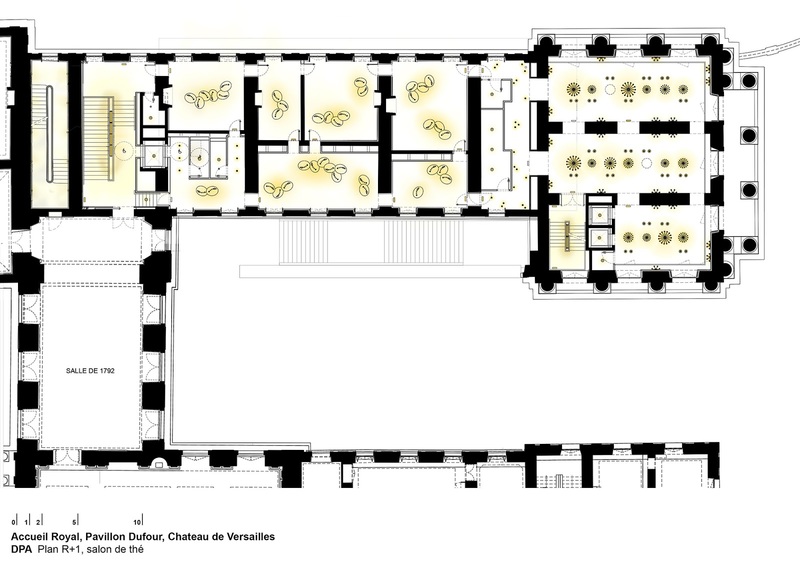 Redeveloping the individual visitors’ reception area in the Dufour Pavilion and the Vieille Aile (Old Wing) is one of the major projects in the “Grand Versailles” master plan. 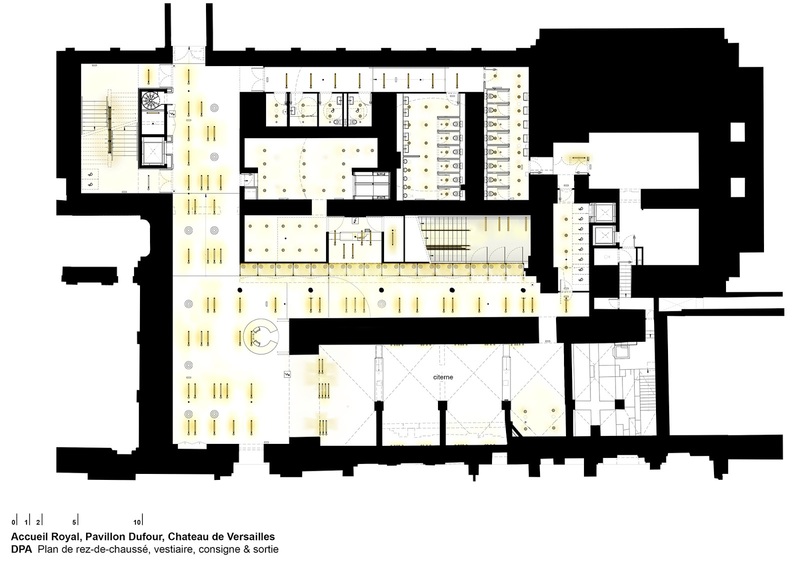 The architect Dominique Perrault was commissioned to design the layout for the future reception area measuring 2,700 m2. 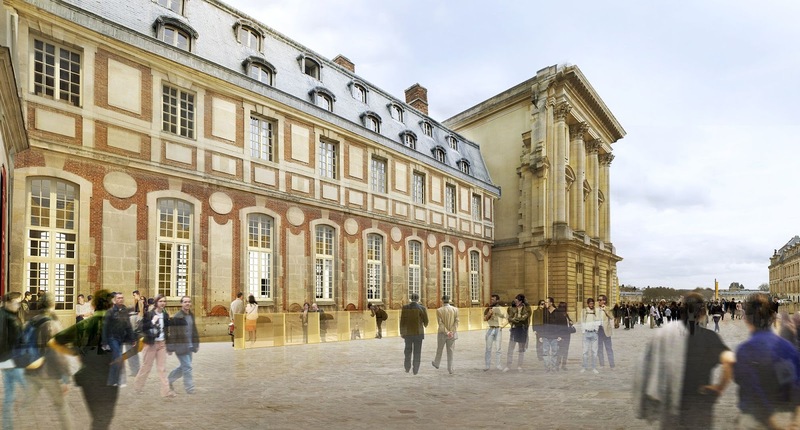 The “Grand Versailles”, a huge restoration, redevelopment and modernisation programme in the Palace of Versailles, was launched in 2003. One of the main objectives of this ambitious restoration programme was to improve visitor reception conditions. 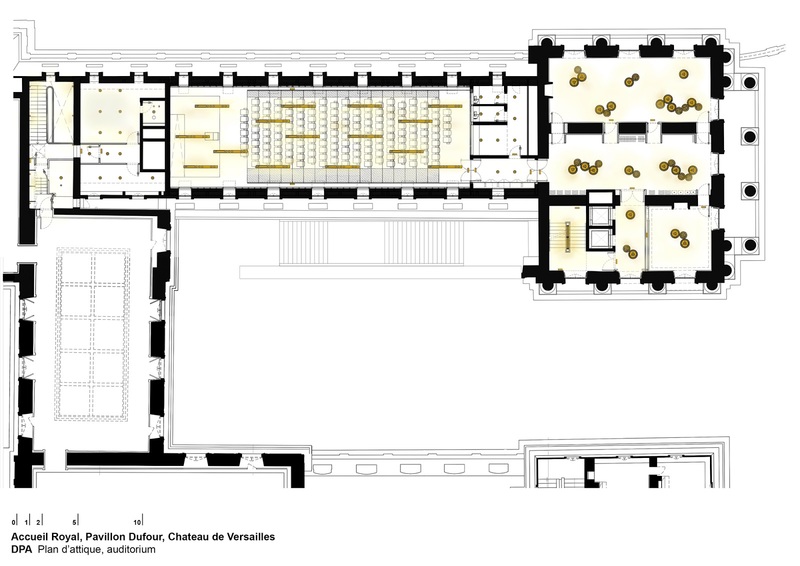 The architect and town planner Dominique Perrault was commissioned by the Palace of Versailles to oversee the renovation of the Pavillon Dufour. The method Mr Perrault recommended to respect all the historic and architectural heritage of this part of the old palace was particularly appealing. 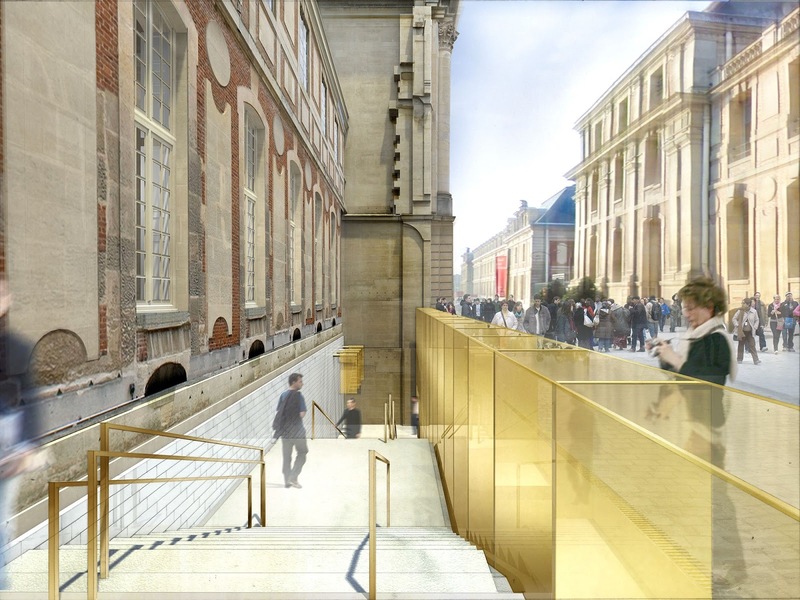 Dominique Perrault planned to dig a trench in the Cour des Princes, along the Old Wing (Vieille Aile), to house a large embedded staircase. 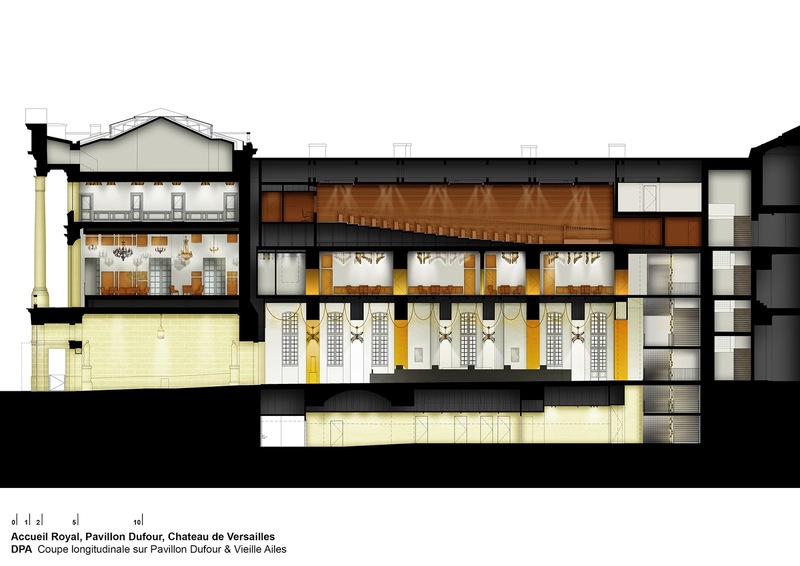 He preferred this option to that of doubling the façade of the Old Wing on the Cour des Princes side. The Pavillon Dufour underwent considerable alterations in the 19th and 20th centuries, particularly to house part of the staff offices. The very few remaining historic elements will still be kept. The windows, doors and roofing will also be restored. 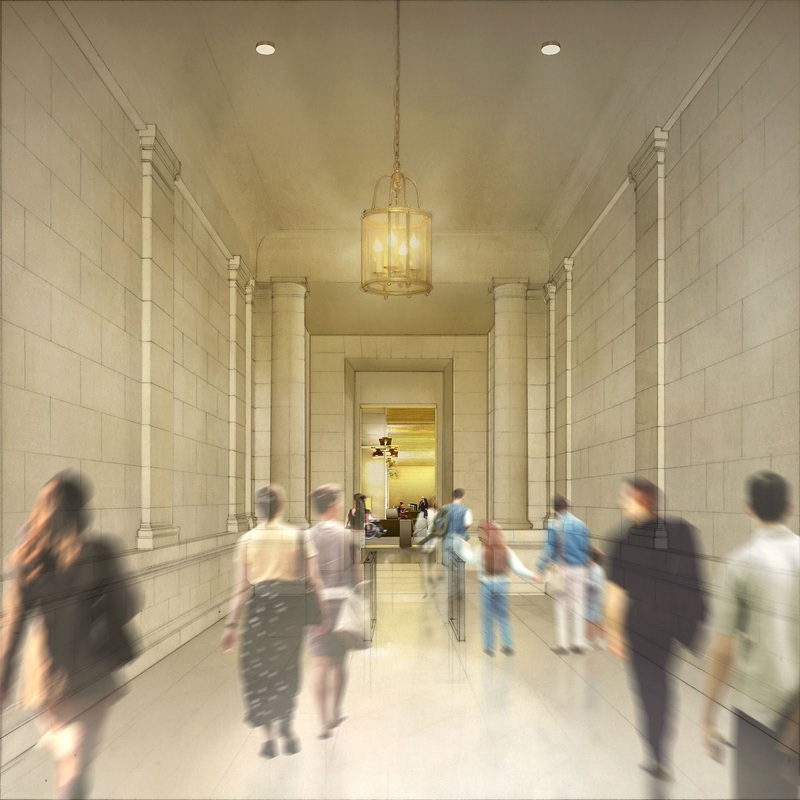 The opened-out ground floor will include the admission desk, information and visitor guidance. 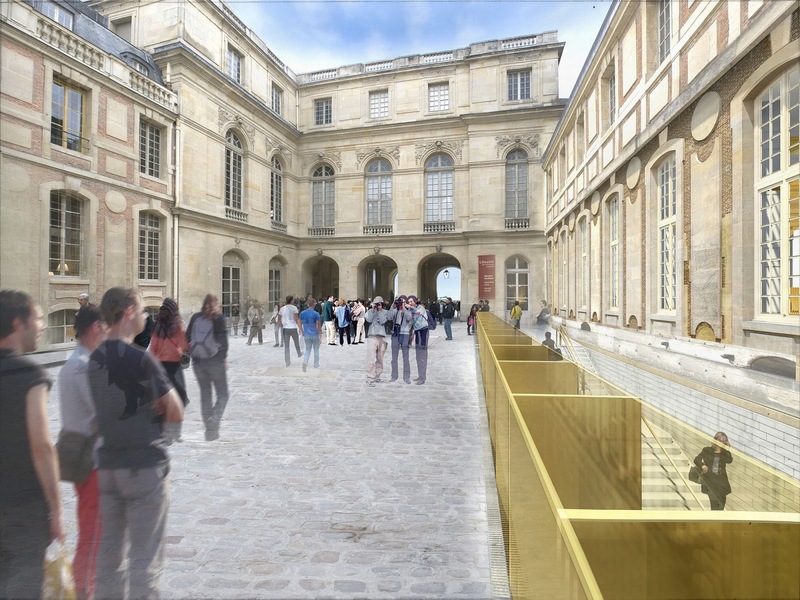 It is the departure point for the various tours of the Palace and opens directly on to the Main Courtyard (Cour Royale). 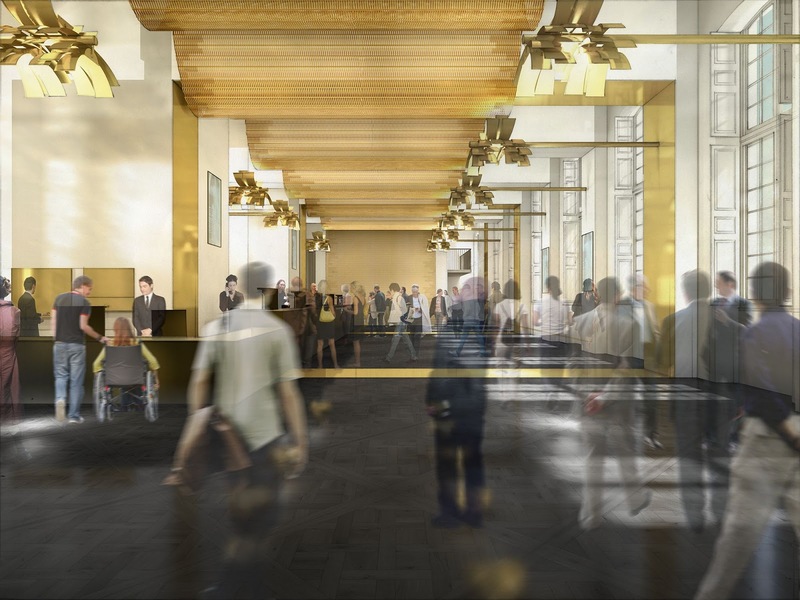 A comfortable circulation space will be installed in the basement of the Pavillon Dufour. 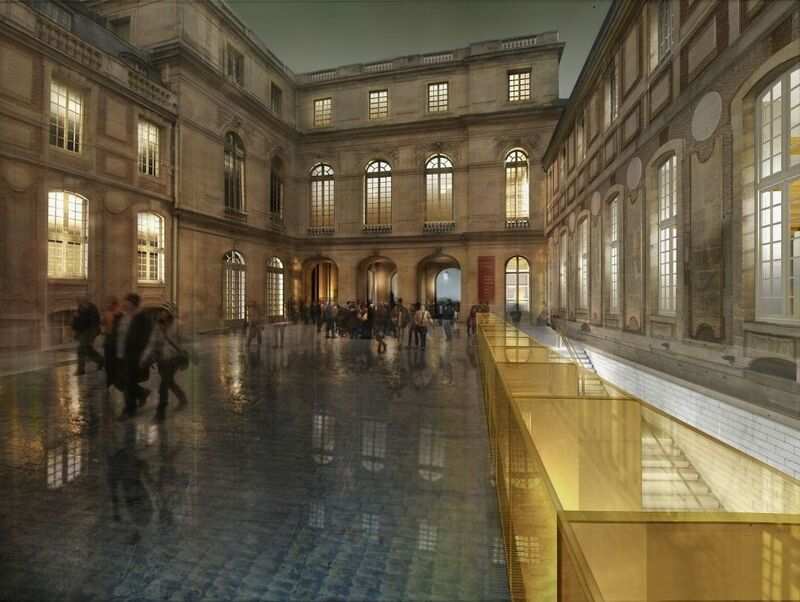 With an indoor height of 4 metres, it will be lit by natural daylight thanks to the glass guardrail created by the large staircase embedded in the trench of the Cour des Princes. This area corresponds to the exit point of the tour of the Palace and will provide access to the gardens. 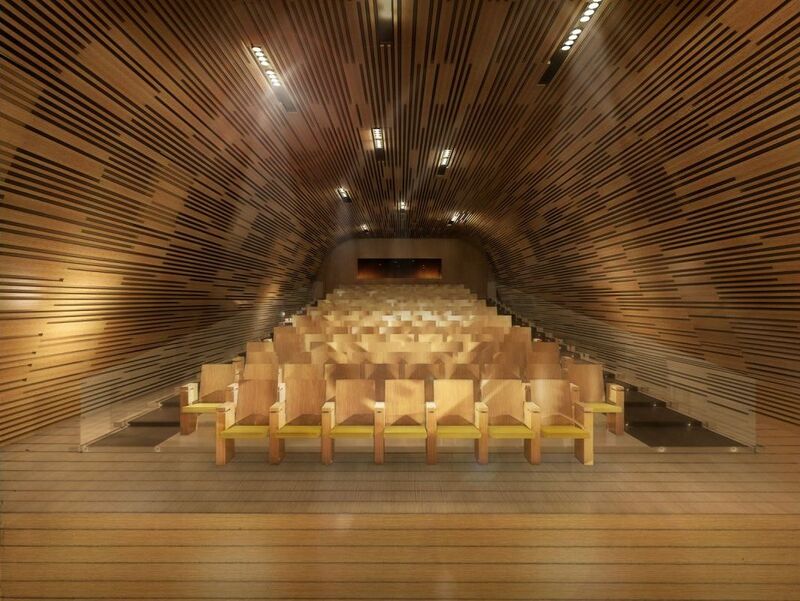 An auditorium seating 200 and a tearoom will be installed on the first and second floors. 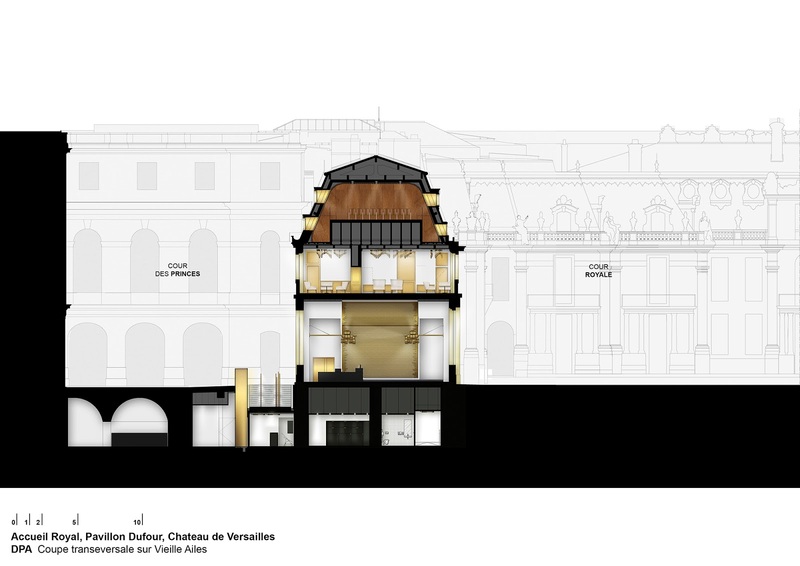 These will be freely accessible to the public, even if they are not visiting the Palace.. 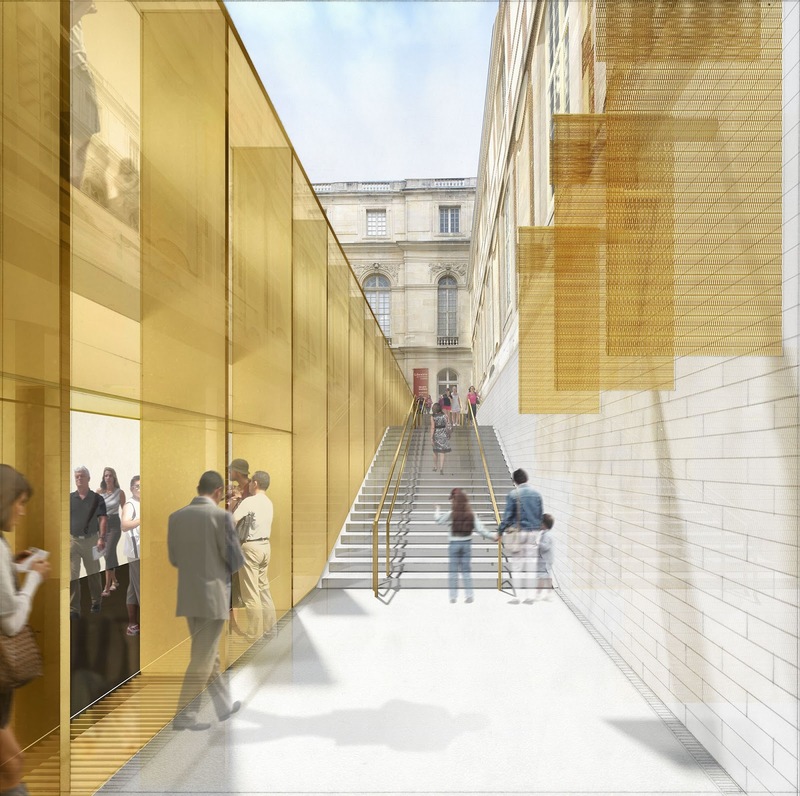 The redevelopment of the Pavillon Dufour and the Old Wing is the last stage in the installation of a simplified visitor reception area that will be more accessible and easier to get around. Visitors come into the Château via two monumental entrances that are easy to find: on the right the Pavillon Gabriel for groups and on the left the Pavillon Dufour for individual visitors. The Pavillon Dufour has also become the unique exit point for all visitors. 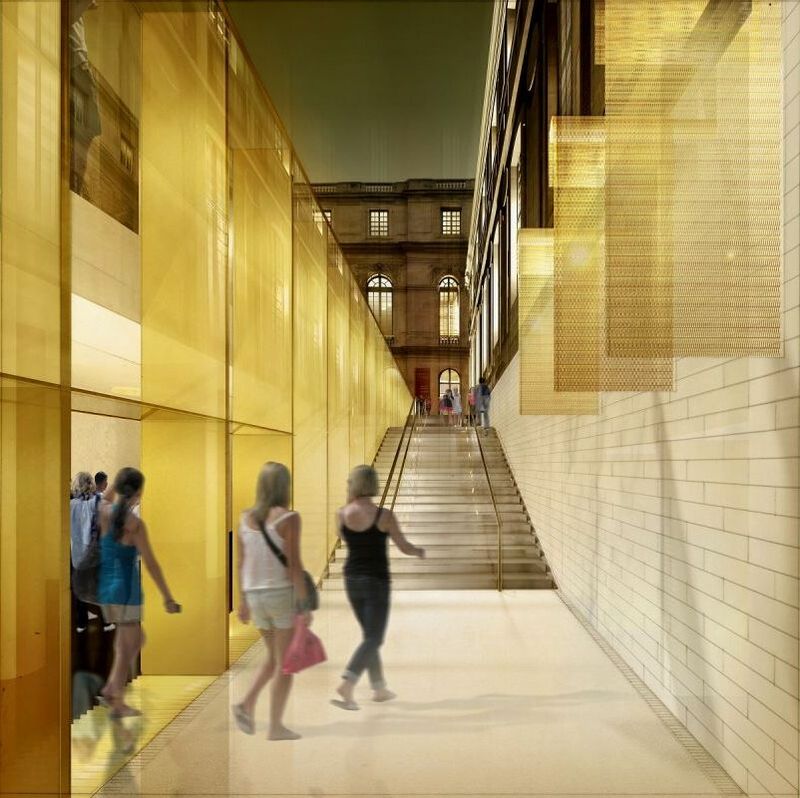 This project is designed to cope with a minimum of 4 million visitors annually. The aim is to be able to receive up to 5 million visitors a year. 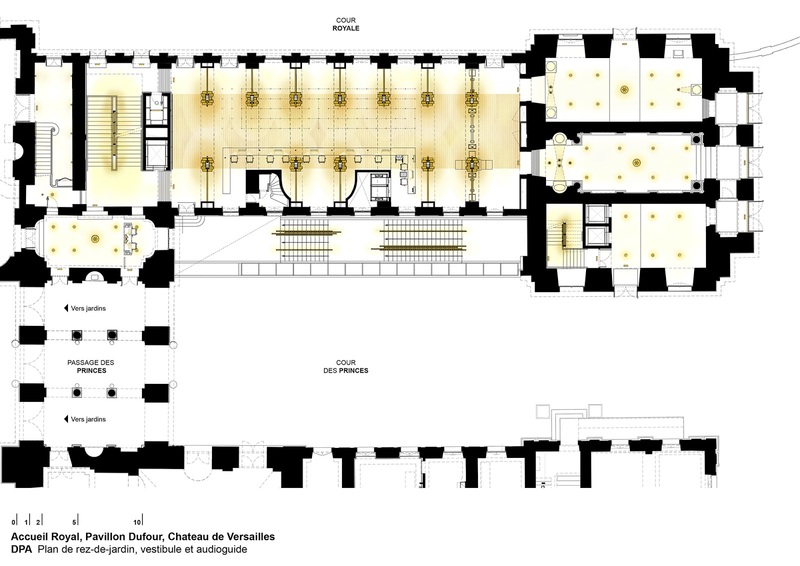 The installation of the staff offices in the nearby Grand Commun in February 2013 was the starting point of the renovation work. 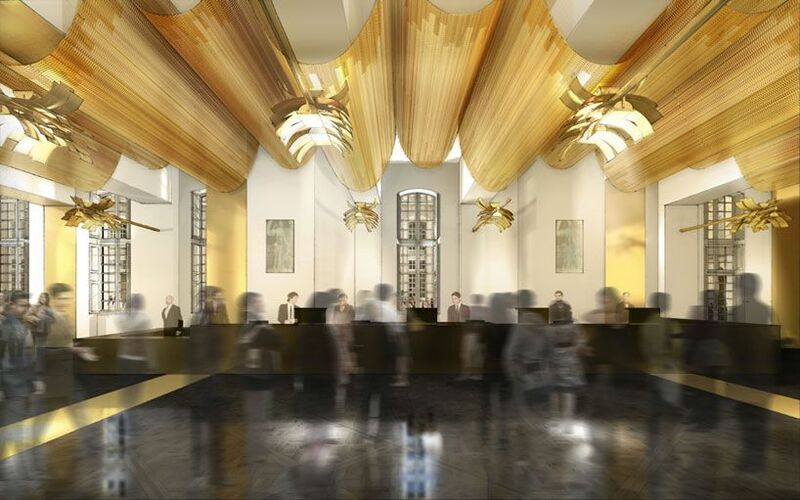 The new reception area is due to open in summer 2015.